According to a report published by Towards Maturity, only 15% of employees feel the training they receive prepares them for their next position. Learning and developing experts can make the shift from training an employee on job-based skills to holistically developing that employee into a productive, agile, committed worker through a continuous learning experience. 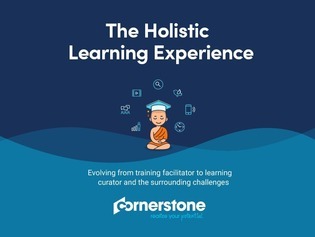 Access this resource to uncover how you can solve 3 challenges that arise when evolving from a training facilitator to learning curator.